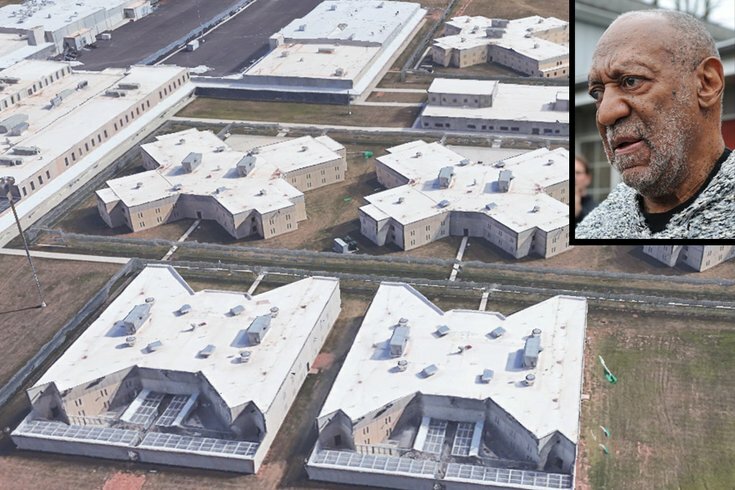 Bill Cosby has been moved out of special housing and into the general population at State Correctional Institution – Phoenix in Skippack Township. He reported to prison in September after his conviction on sexual assault charges. He was sentenced to three to 10 years in prison. Bill Cosby has been moved to gen pop. The 81-year-old actor and comedian, who was convicted of sexual assault in Montgomery County and sentenced to three to 10 years in prison, is serving his time at the new State Correctional Institution – Phoenix in Skippack Township. Since reporting to prison in September, the legally-blind Cosby had been assigned to special housing. Cosby now occupies a single cell in a two-story general population unit, where fellow inmates are assigned to provide assistance to him throughout the day, because of his age and disability, a state prison spokeswoman told the Associated Press. In gen pop, prisoners can spend several hours a day in the gym or exercise yard, and other time in the library, classroom, day room or visiting area, the AP reported. They have a sink and toilet in their cells, and may have a TV or tablet. Cosby is appealing his conviction by a jury last year that concluded he drugged and sexually assaulted a former Temple University staffer at his Cheltenham Township home in 2004. About a week ago, a spokesman for Cosby confirmed that he was targeted by a drone flying over the prison yard. It was speculated that the drone was operated by a media outfit hoping to get images of Cosby behind bars. The prison was shut down while the incident was investigated.